3 Continuing Education HoursJill Ehrenreich-May, Ph.D.
A cutting-edge, practitioner-friendly, and evidence-based treatment for emotional disorders in children and adolescents was published this year by Jill Ehrenreich-May and colleagues.Workshop Description: Designed for children with emotional disorders ages 6-12, the first workshop will focus on the Unified Protocol for Transdiagnostic Treatment of Emotional Disorders in Children (UP-C). The UP-C contains both a full child- and full parent-directed curriculum with supporting workbook materials directed at youth and parents, respectively. This protocol presents an overarching approach of assisting children to become “Emotion Detectives” through activity-based learning of emotion-focused strategies. Through this child-friendly framework, youth learn and practice skills for “acting opposite” to behavioral action tendencies typically employed when experiencing strong emotions. Child clients are taught to reappraise maladaptive emotional thoughts, flexibly solve emotion-laden problems, be mindfully aware of emotional situations, and practice exposure to interoceptive and situational cues for strong emotions. Parents learn how to facilitate practice of these skills at home, and how to identify and counteract emotional parenting behaviors that tend to perpetuate the cycle of strong, maladaptive emotions and behaviors in their children.Throughout the workshop on the UP-C, developmental distinctions in skill content and presentation from the adult UP and UP-A will be emphasized, with a particular focus on discussion of the parent-directed components of this treatment. Video demonstrations of a group implementing UP-C strategies will be shown to support understanding of UP-C techniques and role-play activities will be employed to help attendees better understand the parent-directed techniques discussed. List two reasons for utilizing a transdiagnostic approach when treating emotional disorders in children. Identify the primary mechanism of change in the Unified Protocols for Transdiagnostic Treatment of Emotional Disorders in Children (UP-C). Describe the CLUES skills and link them with primary change targets in the UP-C.
Identify and apply the four "emotional" parenting behaviors targeted in the parent-directed sessions of the UP-C. List and utilize the "opposite" parenting behaviors reinforced with parents in the UP-C.
Jill Ehrenreich-May, Ph.D. is an Associate Professor in the Department of Psychology at the University of Miami with expertise in the treatment of anxiety and depression in youth, and the development, evaluation, and implementation of evidence-based therapy protocols for children and adolescents with such disorders. Her currently funded work in this area includes effectiveness trials regarding treatment of youth emotional distress in community settings (including both community mental health clinics and preschools). Dr. Ehrenreich-May received her undergraduate degree at the University of Florida and her Ph.D. at the University of Mississippi in 2002. She completed a clinical internship at the University of Chicago Medical Center and until August 2008 was a Research Assistant Professor of Psychology and Associate Director of the Child Program in the Center for Anxiety and Disorders at Boston University. She currently directs the Child and Adolescent Mood and Anxiety Treatment Program at the University of Miami, which provides UP-C and UP-A related research services to the community. She is currently the Science Committee Chair for Division 53 of the American Psychological Association and a former Child and Adolescent Anxiety SIG Leader for the Association for Behavioral and Cognitive Therapies. Dr. Ehrenreich-May's research is supported by grants from the National Institutes of Health and other funding agencies in the Unified States and internationally. Workshop Description: This workshop will focus on the rationale, components, and application of the Unified Protocol for Transdiagnostic Treatment of Emotional Disorders in Adolescents (UP-A). Developed by Dr. Ehrenreich-May and associates and published this year, the UP-A is written as a modular treatment that incorporates a good deal of flexibility in the length and breadth that clinicians may employ to personalize adolescent-directed treatment skills. The UP-A has been successful in treating adolescents with emotional disorders across multiple baseline, open-trial, and randomized, controlled trial investigations (Ehrenreich, Goldstein, Wright & Barlow, 2009; Trosper, Buzzella, Bennett & Ehrenreich, 2009; Ehrenreich-May, Queen, Bilek, Remmes, & Marciel, 2014; Ehrenreich-May et al., 2017, etc.). The UP-A includes emotion-focused education, awareness techniques, cognitive strategies, problem-solving and an array of behavioral strategies, including a full range of exposure and activation techniques. In addition to a therapist guide outlining the flexible presentation of these skills, an adolescent-appropriate workbook provides an overview of each treatment component, along with examples of its use. Worksheets, figures, and forms are used to enhance the adolescent’s learning through in-session and at-home practice. Parent-directed techniques are included to improve caregiver awareness of how to parent an emotional adolescent in effective ways and to identify caregiver distress-related behavior that may be interfering with this process. In this workshop, an overview of the rationale and science supporting the UP-A will be presented, followed by a discussion of each UP-A treatment module and its practical application. Video examples and role-play practice will be incorporated to enhance attendee learning and flexibility in the application of UP-A techniques. List two reasons for utilizing a transdiagnostic approach when treating emotional disorders in adolescents. Identify the primary mechanism of change in the Unified Protocols for Transdiagnostic Treatment of Emotional Disorders in Adolescents (UP-A). Describe and use the core modules utilized to effect change in emotional disorders when using the UP-A. Describe and apply the types of opposite action and exposure strategies that may be employed in the UP-A. Explain the tool clinicians use in the UP-A to promote parent-based observation of "emotional" parent behaviors. Workshop Description: By 2060, the number of individuals aged 65 and older in the U.S. is projected to double from 46 million to over 98 million. Mental health practitioners are increasingly playing an important role in the psychological care of this growing segment of the population, but often have limited training in geropsychology and may be unprepared to work effectively with older adults. Many practitioners are unaware of the unique ethical issues that can arise in assessment, treatment, and research with older adults. To provide ethical services, practitioners must have a basic knowledge of the unique needs of this population and an ethical approach to identify and respond to their unique needs. This 3-hour ethics workshop will discuss some of the unique aspects of working with older clients, and will consider the ethical challenges and dilemmas that psychologists face in assessing and intervening with this population. Dr. Dotson will detail the biopsycholosocial changes that can impact practice with older adults, and outline methods to identify and resolve ethical issues that may arise. Through a careful consideration of the APA and ACA Ethics Codes, she will discuss informed consent, confidentiality, elder abuse, and ethical approaches to involve family members in all phases of treatment and management. Apply APA and ACA ethical principles to working with older adults. Identify at least three aging-related biopsychosocial changes that can impact practice with older adults. Identify common ethical issues confronted by practitioners working with older adults, and describe methods of resolving them (e.g., informed consent, confidentiality, and elder abuse). Describe how to ethically involve family members in the evaluation, intervention, or care management of their loved one. 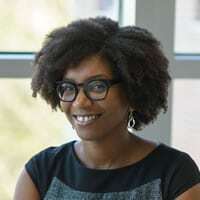 Vonetta Dotson, Ph.D. is an Associate Professor in the Departments of Psychology and Gerontology at Georgia State University, and is a clinical neuropsychologist who specializes in aging and the cognitive neuroscience of depression. She directs the “Brain Health Clinic” at GSU, where she and her students provide memory screenings and neuropsychological assessments for middle-aged to older clients with memory, cognitive or psychological concerns. The clinic also provides psychoeducation on brain-healthy behaviors to clients and their families, as well as bimonthly free memory screenings, mental health screenings, and psychoeducation for the community. From 2009-2016, Dr. Dotson was an Assistant Professor and then Associate Professor of Clinical and Health Psychology at the University of Florida (UF), where she established the Cognitive Neuroscience of Aging and Depression laboratory and supervised clinical trainees in the Adult/Geriatric Neuropsychology specialty clinic within the UF Clinical and Health Psychology Clinic. She completed her doctoral training in the same program in 2006 with a specialization in neuropsychology and a certificate in gerontology. She completed her postdoctoral training at the National Institute on Aging Intramural Research Program. She is currently a member of the American Psychological Association’s Committee on Aging. Dr. Dotson’s research focuses on understanding the underlying neurobiology of depression and its relationship to cognitive changes and functional deficits in older adults. This work is translational in nature, with the goal of improving the diagnosis and treatment of mood disorders. Her research has been supported by grants from the National Institute on Aging, National Institute of Mental Health, and the McKnight Brain Research Foundation. Workshop Description: Greater public awareness of sexual harassment and assault against women has been achieved by recent social movements. Sexual harassment and assault are serious public health problems that occur across the lifespan, and can result in significant psychological difficulties including post-traumatic stress and depression. Mental health clinicians frequently treat adults and adolescents who have experienced these forms of interpersonal violence. This workshop will review the social context surrounding the experience of sexual trauma, and consider some of the ethical dilemmas commonly encountered by practitioners when treating survivors. In addition, participants will learn how research findings in this field, as well as a close consideration of the APA and ACA Ethics Codes can help guide effective clinical and ethical decision-making. More specifically, the workshop will review factors that influence the conceptualization of trauma. The sociocognitive model of risk perception of sexual violence will be reviewed, as will the clinical implications for assisting survivors of trauma with understanding the many barriers that can preclude assessing, acknowledging and responding to risks for violence in dating and social situations. Common social reactions to disclosure of trauma will be discussed, and strategies for supporting survivors through the process of disclosure and help-seeking will be detailed. In addition, the workshop will consider ethical dilemmas that may occur in treatment, including conflicts between client autonomy and beneficence when a client does not want to disclose their assault. The workshop will consider how confidentiality issues are addressed, and the importance of maintaining an ongoing informed consent during treatment. Finally, participants will learn ways to engage in effective personal reflectivity and consultation. Mental health clinicians often have strong emotional reactions to the report of harassment or assault by their clients, and the workshop will consider how such reactions may complicate effective ethical decision making during treatment. Describe the common psychological sequelae of sexual harassment and assault. List the factors that influence the conceptualization of trauma among survivors of sexual harassment and assault. Explain the processes that influence risk perception for violence. Describe the patterns in disclosing trauma, including common social reactions to disclosure. Identify the standards of the APA and ACA Ethics Codes that should be considered when working with survivors of trauma, and apply those standards to guide effective clinical and ethical decision-making skills when working with this population. 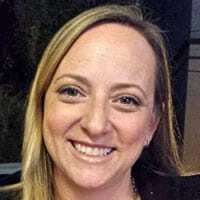 Lindsay Orchowski, Ph.D. is an Associate Professor within the Department of Psychiatry and Human Behavior at the Alpert Medical School of Brown University and a Psychologist at Rhode Island Hospital. She is the Deputy Title IX Coordinator for the Medical School and maintains a therapy practice serving primarily victims of trauma. She completed her Ph.D. in Clinical Psychology at Ohio University with specializations in Child Psychology and Applied Quantitative Psychology. She completed a Clinical Internship at Brown University. Following a fellowship funded through the National Institutes of Health at the Centers for Alcohol and Addiction Studies at Brown University. 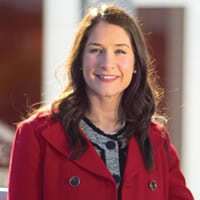 Dr. Orchowski has published extensively on violence prevention, and is nationally recognized for her work developing violence prevention approaches for middle school, high school, college and military populations. Her research is funded by the Centers for Disease Control and Prevention, the National Institutes of Health, and the Department of Defense. She is an Associate Editor for Psychology of Women Quarterly, and her book entitled "Sexual Assault Risk Reduction and Resistance: Theory Research and Practice" will be published by Elsevier in 2018. Psychologists: All four workshops provide Category IV continuing education credit for psychologists in Georgia, as these workshops have been approved for American Psychological Association (APA) continuing education credit by the Georgia State University (GSU) Counseling and Testing Center. Dr. Dotson’s and Dr. Orchowski’s workshops will each fulfill 3 of the 6 hours of required ethics, while participation in both of these workshops will fully meet the ethics requirement for psychologists in Georgia. The GSU Counseling and Testing Center is approved by APA to offer CE credit to psychologists in Georgia. Professional Counselors: The Licensed Professional Counselors Association of Georgia, LPCA, has approved these workshops: 3 CE Core hours for Dr. Ehrenreich-May's morning workshop (Approval #7716-18); 3 CE Core hours for Dr. Ehrenreich-May's afternoon workshop (Approval #7722-18); 3 CE ETHICS hours for Dr. Dotson's workshop (Approval #7717-18); and 3 CE ETHICS hours for Dr. Orchowski's workshop (#7718-18). Other Mental Health Clinicians: All participants in the workshops will receive an attendance certificate. The hours earned at these workshops may count toward “related” CE hours for other disciplines. Please consult with composite board rules to evaluate if these workshops meet their CE criteria. Regular Registration: registration (postmarked or received 9/29/18 and after) for one workshop is $80; two workshops is $150; three workshops is $220; & four workshops is $290. Students/Interns/Fellows: the cost for students, interns, and psychology postdoctoral fellows is $30 per workshop (documentation of status required). To cancel, call 404-413-6229. Refunds will be granted minus a $35 fee per workshop ($15 for students/interns/postdocs) if notification is received at least 7 days before each workshop. No refunds will be given after that time. For returned checks, a $30 fee will be charged. 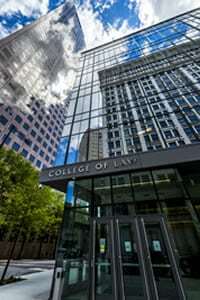 The new GSU Law School is located at 85 Park Place NE, in downtown Atlanta. This is at the corner of Park Place and John Wesley Dobbs Avenue. Visitor parking is available for $7 (daily) in the T or M Deck. Also, the Law School is easily accessible from the MARTA Peachtree Center Station. See below for more details. There are several commercial (non-GSU) parking lots in the area, including 141 John Wesley Dobbs Avenue Parking Lot located at the corner of Peachtree Center Avenue and John Wesley Dobbs Avenue, Atlanta, GA 30303: $5 subject to availability. On the North and South line, travel to the Peachtree Center Station on the North/South rapid rail line. Look for the Ellis Street exit in the station. Go up those escalators then take the Peachtree Street West exit out of the station. Turn right. The Law School is less than a block from the station at the corner of John Wesley Dobbs Avenue and Park Place, next door to the Georgia-Pacific Center.